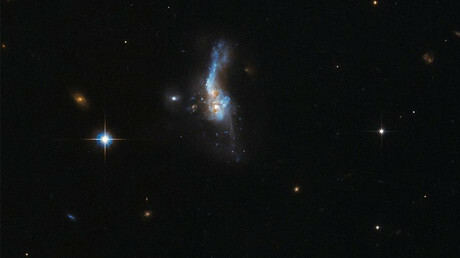 Astronomers have found more proof to support the theory of galaxy growth by merging after several dwarf galaxies were observed in perfect conditions for such a course. Pictures showing the star cities seemingly about to collide and merge have been released. Dwarf galaxies are smaller collections of stars that can be up to 1,000 times smaller than the Milky Way. Researchers have theorized that the merging of these smaller galaxies leads to massive galaxies, but there hasn’t been sufficient evidence to support this theory. Dwarf galaxies are often found out at the edges of larger galaxies, whose gravity strips them of their stars before a merger can take place. 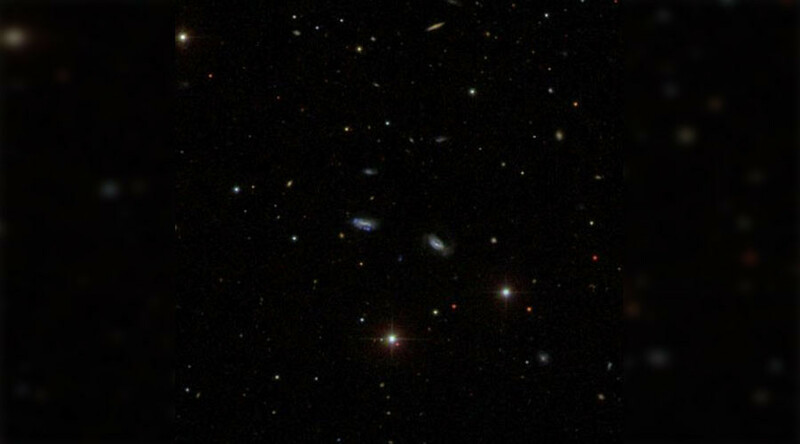 Now data from the Sloan Digital Sky Survey (SDSS), along with other optical telescopes, has led to the discovery of seven distinct groups of dwarf galaxies with ideal conditions to eventually merge and form larger galaxies. Each group is compact enough that at least one pair in each is ultimately likely to merge. The discovery suggests that the theory that galaxies form via collisions is correct. The research was reported in the journal Nature Astronomy. Stierwalt and her team of researchers found the clusters by thoroughly searching through the Sloan Digital Sky Survey, which is an enormous collection of star maps. They then used the telescopes - the Walter Baade Telescope at the Los Campanas Observatory in Chile, a telescope at the Apache Point Observatory in New Mexico, and the Gemini telescope in Hawaii - to confirm that the clusters are gravitationally bound together. "We hope this discovery will enable future studies of groups of dwarf galaxies and offer insights into the formation of galaxies like the Milky Way," Stierwalt said. The Milky Way has also been theorized to have devoured lesser galaxies as it grew, and observations have suggested some of the stars we see have been torn away from its satellite worlds such as the Sagittarius Dwarf. The Galaxy itself is on a collision course with its larger spiral neighbor, the Andromeda Galaxy, which is approaching us at 300 kilometers per second relative to the Sun. The cosmic-scale collision is believed to result in an enormous elliptical galaxy, dubbed the Milkomeda, but this will occur in some 4 billion years. Lucky for us, computer simulations and images of how the night sky might look during the epic merging are already available through interpretation of space agencies and artists.